Sunset July 12, 2015 ... we had a sunset cruise and we were all treated to this amazing beauty. By the way, the owner of Sea Bird has retired and he's ready to sell Sea Bird and Sea Bird Sailing Excursions. For the sale sheet info, see this google Doc. Those are some damn pretty pictures. I hope that they reflect the lifestyle. 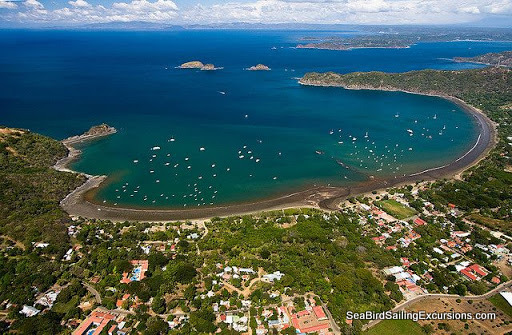 "Pura Vida" is what we say most down here...literally translates to "Pure Life." The owner of Sea Bird has surprisingly never been to Costa Rica so he doesn't really know what he is missing out on. He and his wife were busy working when they sent Sea Bird down here from California for me to use for business. We kept his boat up in excellent condition (and the business pays for all that) and the deal was that when he and his wife retire, they need to sell her so that they can buy that beach front property in Mexico. Since the business is profitable and has a great reputation (and the area will continue to grow) we decided to sell both the boat and business together. It's a perfect set up and opportunity for anyone looking to relocate. Also legal for an expat (like myself) to own a business here. I now have permanent residency in CR but still have my US citizenship. We are very happy here and don't have plans to leave Costa Rica after the boat and business sell. The nearest traffic light to Playas del Coco is 45 minutes away. The international airport (LIR) is only 25 minutes away. The Gulf of Papagayo, where we sail around, is home to the Four Seasons (Michael Douglas and his family were just here a couple months ago!) and the Hilton and it's a really area that relies on tourism. We definitely love it here!